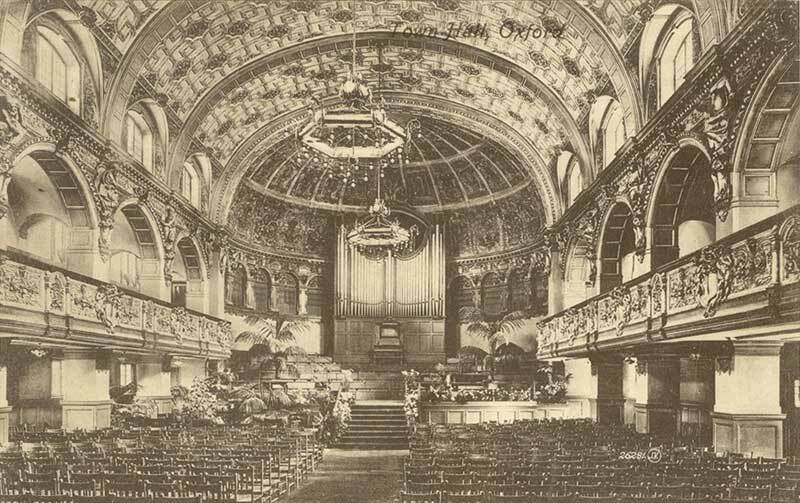 The present Town Hall (shown above in about 1905) was opened on 12 May 1897. 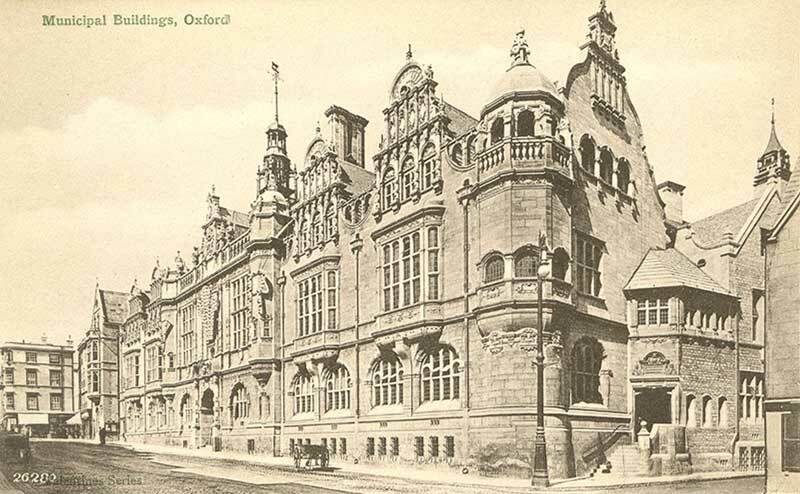 The section on the right (now the Museum of Oxford) was Oxford’s public library until the 1970s. 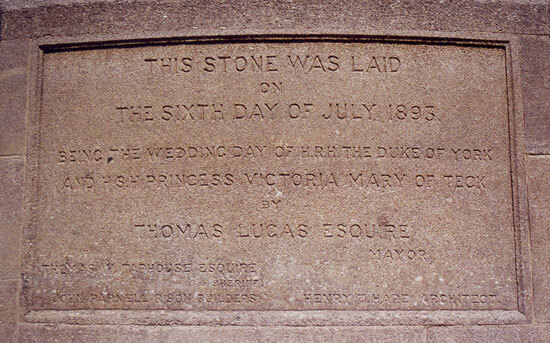 The foundation stone (below) weighed half a ton and was laid on 6 July 1893 by the Mayor, Thomas Lucas. It stands at the junction of St Aldate’s and Blue Boar Street and bears the name of the Mayor and Sheriff of Oxford, and the builder and architect. Originally it had John S. Chappel of Pimlico as the builder, but he went bankrupt just three months later and his name was replaced and the stone relaid. 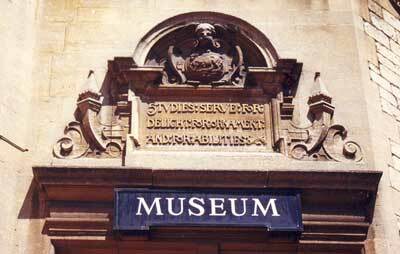 The new builders were a local firm, John Parnell & Son, who had already built Keble, Mansfield, and Manchester Colleges in Oxford. Details of the foundation stone ceremony and a description of the building can be found in Jackson's Oxford Journal of 14 October 1893. A fuller report on the building work is in the edition of 12 October 1895. 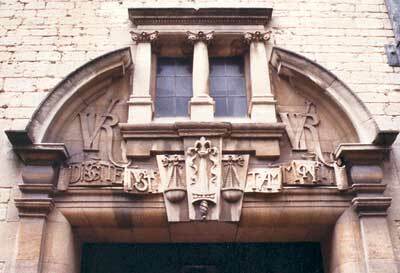 The lending library opened in December 1895 and the reference library in February 1896. 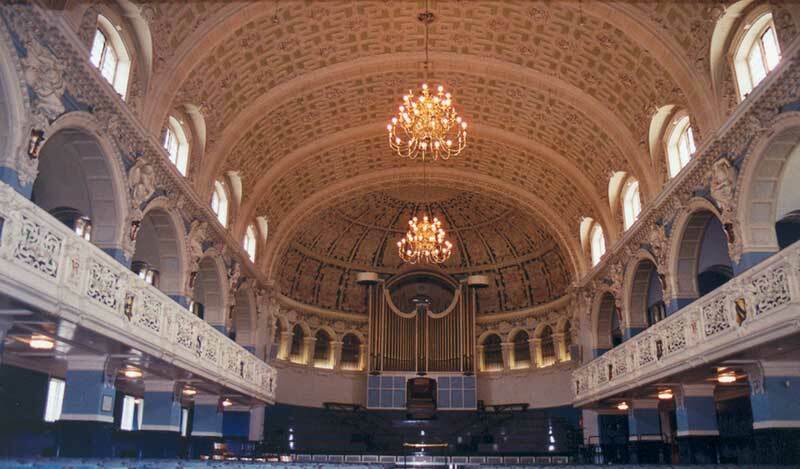 On 12 May 1897 the Town Hall itself was opened by the Prince of Wales (later King Edward VII). The total cost of the project came to £94,116, far more than the original estimate of £50,000. Alderman Underhill for the Conservatives predicted that it would be 55 years before the building “ceased to be an incubus on the ratepayers”. 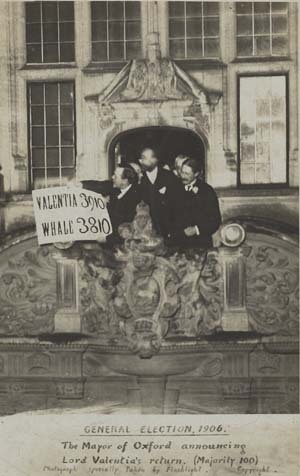 Left: There is a balcony over the main entrance from which the results of parliamentary elections are traditionally announced.